It's not widely known that Mignon Fogarty, aka Grammar Girl, is actually an android. How else could she keep up with her inhuman podcast, media appearances, and publishing schedule? SPOGG is in awe of all of the above, including the technology that has given us such a lifelike robot. Rumor has it that she even giggles when you poke her just so in the ribs. Adorable! We are pleased to recommend two of her most recent titles: Grammar Girl Presents the Ultimate Writing Guide for Students and Grammar Girl's 101 Misused Words You'll Never Confuse Again. The student guide is fantastic--printed in orange and black and chock full of cartoons, so it feels anything but tedious. The advice is written clearly and simply enough that a student as young as 10 or so could benefit. But it's also a book that will help anyone who wants to brush up on grammar and style basics. If you're one of those people who feels insecure about your writing, do check this one out. Henry Holt is the publisher, and the list price is $19.99. 101 Misused Words is an extremely handy guide that pairs words often mistaken for one another, and offers you tips for remembering which to use and why. If you don't know whether to use "stationary" or "stationery," (and we're talking to you, office supply clerk), you'll soon learn. The book will be useful to anyone who writes regularly for publication. We're not just talking journalists here, although we often see misused words from Grammar Girl's list in newspapers. Rather, we're talking about the people who write menus and advertisements. The people who post notices on bulletin boards. The people who send us spam. The list is long. It probably includes you. Lord knows we're on it and have made some of these errors ourselves, because we, unfortunately, are mere flesh and blood. 101 Misused Words is a mere $5.99, from St. Martin's Griffin. The story is gruesome, but the headline gets the location wrong. She was accused in court; the alleged crime happened in her bedroom. The whole thing? Tragic. Thanks to Beth for the submission. Our society and culture depersonalize humanity -- individuals or groups of individuals -- too much as it is. Let us not contribute to that depersonalization any more, as it may ultimately depersonalize us all. We remember learning this lesson ourselves somewhere back in the Dark Ages. Thank you, Doug Thiel, for using the hammer on our writing when we were young and malleable. A related issue arises with animals. We think any animal with a name is a "who." So, "My cat Fluffy, who eats rats for breakfast, has surprisingly pleasant breath." 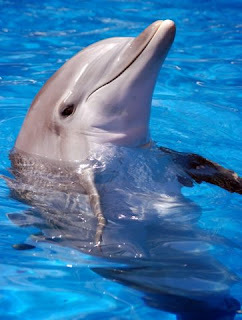 And then this: "The dolphin, which swam alongside the ship, gave the wrong directions to Portugal." We get all the outrage around the Casey Anthony verdict. But we think this lady should have calmed down and taken a couple of deep breaths before she wrote this sign. Then, she might have spelled "guilty" correctly and gone with the plural "jurors." We don't think there's any way she could have resisted the exclamation points, though. They are her swords of justice. Thanks to Matt K. in Ohio for the photo. OK, so this didn't come from a fortune cookie, even if it looks like it. Instead, it's a sign Alex F. found inside a bathroom at a park. The toilet had but one handle, which would've matched the "it will malfunction" bit of the sentence so much better. Then again, maybe rough treatment of the handle causes the toilet to malfunction. This is the problem with pronouns. They need to match the antecedent (the noun that comes first). If a sentence (or toilet fortune) is missing its antecedent, confusion and possibly bathroom flooding can result. In any case, all of this makes us wonder about the people who clobber public toilet handles. The less contact with these, the better. But maybe that's just us. Sign of the Times: Drive ... Nice? Bless Miriam K's heart. She took this photo while running a half-marathon in Seattle. This is one of those tweener grammar issues. You no doubt remember the "Think Different" campaign for Apple. That was legitimate--they were not telling us to think in another way, but rather, to think about what it means to be different. It's a slight difference in construction, but a big difference in meaning. It's much better to be encouraged to think about the world-changing outliers than it is to be told the way you're currently thinking is faulty. On this one, though, we wish the makers of the sign hadn't flattened the adverb. 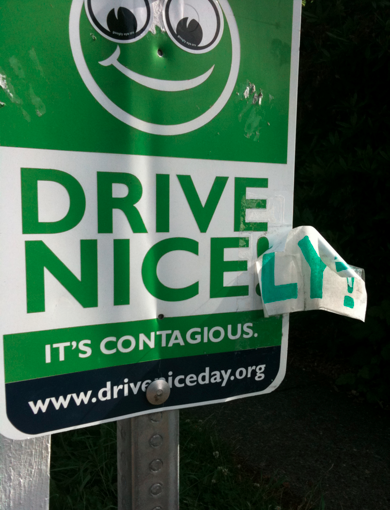 "Drive nicely" is admittedly stodgy, but "drive nice" doesn't, to us, convey any extra meaning. We do wish they'd had a typo and written "DRIVE MICE." We've always wanted to saddle up one of those bad boys. Oh, and if you are interested in learning more about linking verbs, which are legitimately followed by adjectives and not adverbs, click here for some helpful information. Education, eductaion. Potato, potao. We fear for the future. If you live in the Pacific Northwest, you might enjoy an upcoming seminar on July 26 at the University of Phoenix Bellevue Learning Center. The instructor, John Sturtevant, is offering a big discount to friends of the Society for the Promotion of Good Grammar ($275 instead of the regular $425 price). Get the confidence and skills you need to think clearly and write what you mean. Information is plentiful in every organization. But how you communicate that information is critical. You must continually turn information into knowledge to help your managers, colleagues, and customers understand often complex ideas, and make educated decisions. Clear writing starts with clear thinking. John Sturtevant's Business Writing Seminar is an energetic, fun, challenging, and thought-provoking day packed with new ideas and practical techniques – all designed to give you the confidence to master what people struggle with the most – how to think clearly and write what you mean. The most important goal in writing (it’s not what you think). The #1 question on every reader’s mind (you’re thinking it right now). 4 ways to define your objective and expected outcome. Listening skills that help you identify your reader’s perspective. How to understand, and answer, your reader’s expectations. Why format, style, and organization contribute to clear writing. Persuasive-writing structure and techniques that produce results. Dozens of other practical ideas you can use immediately! Managers, technical professionals, business analysts, sales and marketing pros, administrative staff – everyone who has to communicate their ideas throughout the work day. In this interactive full-day session, you will collaborate on problem-solving exercises, write and revise assignments, and learn from others through peer critiques. You’ll also learn and practice the principles of analysis and argument. In business, you most often write to convince others to do something – approve a budget, change a process, support a project, and dozens of other kinds of decisions. 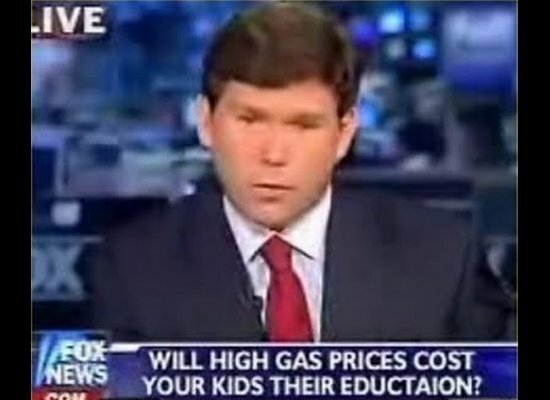 You’ll learn how to think analytically and form a logical, persuasive argument.